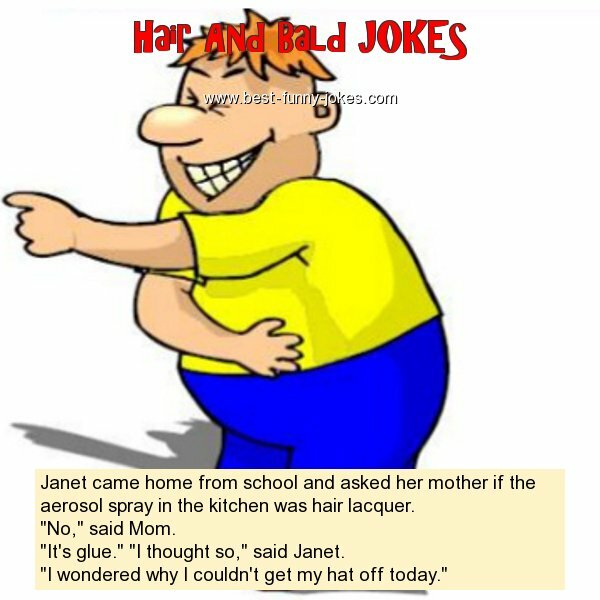 Janet came home from school and asked her mother if the aerosol spray in the kitchen was hair lacquer. "It's glue." "I thought so," said Janet. "I wondered why I couldn't get my hat off today."